We invite you to discover a place where your neighbors feel like family, the pace of life is slower and the sights and sounds of nature surround you and connect everything together. The vision for Currahee Club is to create a Village retreat where families can disconnect from the stress of everyday life and reconnect in a tranquil, mountain-lake setting. Just 90 miles from Atlanta and steps away from charming Southern towns, Currahee Club’s accessibility makes it ideal for full-time and part-time residents. Rich in amenities, Currahee Club is designed for generational enjoyment, offering year-round amenities, including a stunning Fazio-designed golf course, 48,000 square foot Clubhouse, a Sports Complex complete with wellness center, zero-entry pool, basketball court, and playground and miles of shoreline along Lake Hartwell. These amenities are staffed by a team of dedicated professionals who take extreme pride in all things Currahee and provide an escape for property owners and members alike. Currahee Club is a proud supporter and member of the Sustainable Community Program through Audubon International. Audubon International delivers environmental education for the sustainable management of land, water, wildlife and other natural resources. As a member of their Sustainable Community Program, Currahee Club receives expert, tailored guidance to continually enhance our community’s sustainability to ensure they are long-term custodians for the 1,200 acre property. Arendale acquires land, develops master planned and boutique communities, constructs amenities, and offers ready-to-build home sites and commercial properties. Having successfully navigated several real estate cycles, the organization prides itself on organizational stability and dynamic leadership. Building upon a successful legacy of predecessor companies, Arendale’s leadership team has more than 150 years of combined experience in land acquisition, planning, development, home building and the hospitality industry. The company provides management and administrative support to each of its real estate partnerships and club operations in more than five states. Arendale Holdings is based in Jacksonville, Florida. Andrew Ward is a highly trained professional whose working career has spanned across seven countries over four continents in the World. Born in the UK, now on dual American citizenship, he completed his hospitality degree in Lincoln and Norwich Universities in England, before embarking to London for four years, and then on to his International career. Working in California at Newton Winery in St. Helena’s Napa Valley or 18 months, then back to Cambridge England for six years before then taking his family and moving with Le Meridien Hotels and Resorts to Bermuda. After this Ward moved on to the British West Indies to open two new properties with Beaches Turks and Caicos (a Sandals property) and then Como Hotels as Resident GM at Parrot Cay. Ward places great emphasis on a team’s approach to customer service, business ideas, growth and change. 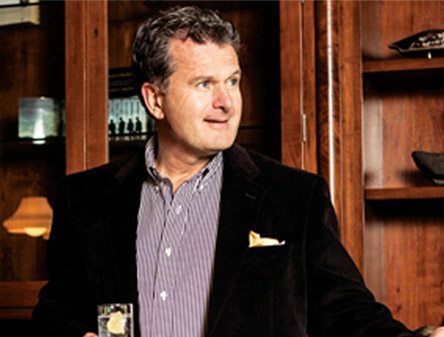 Ward moved to Georgia in 1999, graduated from Cornell Universities Hotel School’s General Managers program, and then led the development of a renowned Lake Oconee Golf Community for over a decade. As a natural born leader and motivator, Ward served for over a decade in executive positions on the Boards of the Chamber of Commerce, and his County’s Development Authority, being voted Businessman of the Year for the County during his tenure. Ward also served on the Board of Georgia’s Tourism Alliance, and was often found in the State Capitol during the session each year pushing new Tourism laws through the House and Senate. Ward has now spent over six years as the President and Managing Partner at the Currahee Club development in Stephens County, in north Georgia. After re-launching Currahee with the support of his team, Currahee was named the #1 Best Golf Club in the State, and final 4 USA by the National Golf Course Owners Association in 2015. In both 2016 and 2017 Currahee won multiple recognitions in Ideal Livings Best of the Best real estate communities worldwide. Ward has been married to Jayne, a CASA volunteer for 35 years. They have three children, Ben a Georgia Tech grad, now married and working in Washington DC, Charlotte who lives and works in the Wards UK home town is based with Hilton Hotels as a Regional HR Manager, and teenager Harry, who embarked on a Soccer Scholarship as a freshman at Anderson University, SC in 2017. When he is not busy working, you may find him out on his Harley Davidson, or traveling internationally to notch up another, in a long list of over 45 different Countries in the world that he has already explored, or Scuba diving down to the Ocean depths for thrills. All of Team Currahee cares about you, and your experience with us. 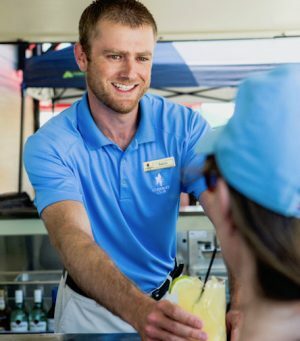 From the first person you meet upon arrival at Currahee’s 24/7 gated security entrance, to the last as you leave, you will find a team of dedicated professionals ensuring you truly escape and unwind while inside the wonderful charm of all things Currahee.